Based on Jolly Phonics, Cartoonito activity sheets are a perfect resource to help support children while they are learning to read and write. Each sheet provides activities for letter sound learning, letter formation, blending and segmenting. 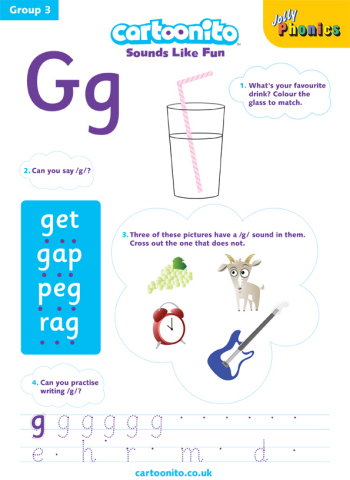 Split into 7 groups, the worksheets contain all 42 letter sounds taught in Jolly Phonics.